Mumbai : As every fan is excited as hell to watch the much awaited movie of Bollywood's 'Dabangg' star Salman Khan's 'Bajrangi Bhaijaan', which will hit the theater on the special occasion of Eid on July 17 this year. Well, not only Salman's fans are crazy about his upcoming movie but also some popular celebrities crazy about 'Bajrangi Bhaijaan' movie. Along with Salman Khan, Nawazuddin Siddiqui Sonakshi Sinha, Mithun Da, Puneet (Judge of Dance India Dance), Kapil Sharma, Ali Sagar and Sungandha Mishra have supported with their dubsmash videos. Bajrangi Bhaijaan is based on the story of little mute girl, who lost in India and meets a man Pawan Kumar Chaturvedi (Salman Khan Role) called as Bajrangi also, who take her with himself to reconcile Pakistani girl with her parents. 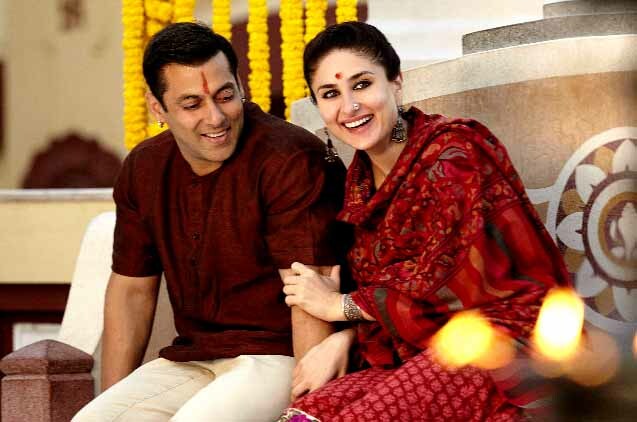 Salman is featuring a great role in this movie trailer, in which Kareena Kapoor played as a muslim girl named Rasika and Nawazuddin Siddiqui played a role of a Pakistani journalist. The film is directed by Kabir Khan and produced by Salman Khan and Rockline Venkatesh and presented by Eros International. The film will release on 17th of July, 2015.